Losing Your Job in NJ Traffic Court Through Forfeiture Do you hold public employment or public office in NJ? Have you been charged with a minor crime like drug possession or shoplifting? You could lose your job! Yes, that's right, you can lose your job as a result of conviction of charges brought against you in municipal court. No, I'm not talking about losing your job because you lost your driver's license in a DUI; I'm talking about fired because of the conviction itself. If you are a public employee, you can face the loss of your job depending on the charges. If you hold a public office and are convicted of a disorderly (or petty disorderly) persons offense (what other states call "misdemeanors"), you stand to lose your job as a "collateral consequence" (i.e. it is not part of the sentence, but a result of it). "Public office" is defined very broadly and includes all elective offices, as well as full or part time employment with local, county, or state government, school boards and districts, fire districts, authorities, and any other political subdivision of the State of New Jersey. You are convicted of an offense involving dishonesty. Although this is not specifically defined, it would likely include shoplifting, receiving stolen property, and theft by deception. This is because "dishonesty" is at the heart of all theft offenses under NJ law. Then there is lying to the police, hindering an investigation (lying to the police), or passing bad checks. If you are convicted of something that "involves or touches upon" your public office or employment. This is actually worse, as it not only results in the loss of your current job, but actually bars you from ever holding public office or employment. The problem arises when the involvement of the employment is not self-evident. Municipal court prosecutors are being instructed to investigate forfeiture issues in cases, so if you are facing a charge like this and hold public office or employment, it is best to get an attorney. If you have been charged with an offense here in southern New Jersey that could result in your losing your job, please feel free to call me at 856-432-4113 or contact me through this site to schedule an appointment for a free consultation in my Woodbury office. 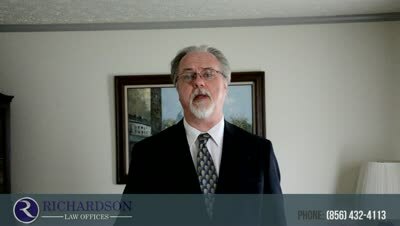 How do I know if I risk forfeiture of my job? How can I avoid forfeiture of my job?